Korea-based artist Byungseo Yoo has recently made his journey to Vancouver for his first exhibition in Canada. His works are currently being exhibited in Vancouver at Public Storage. Considering the nature of the space—a repository for forgotten objects—one may think of it as an unlikely place to display an artwork. That said, it is a suitable place for Yoo’s installation Disposable Cinema (2014), which touches on the theme of ephemerality and chance. 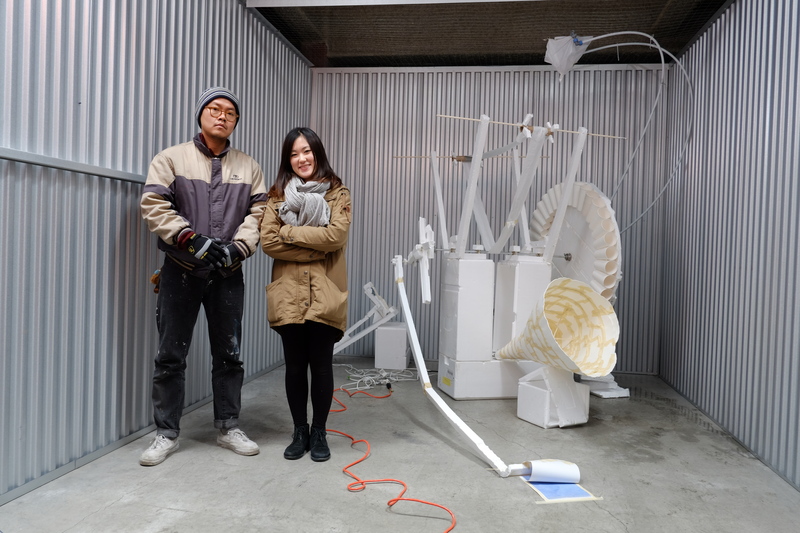 In this work, Yoo has created a cine projector out of disposable materials such as plastic bottles, styrofoam, paper cups, and wooden boxes.